Not all lawyers are adept at handling the complexities of elder law and special needs issues. Elder Law is a relatively new and fast growing field of law that deals with specific legal issues faced by older persons. Elder Law also deals with many of the same laws that affect persons with developmental disabilities or special needs. In choosing an attorney to work for you, you need an attorney that has a thorough understanding of these laws. This may seem like an obvious question; but it is rarely asked. In fact, the word “specialize” is a word permitted to be used by only a handful of attorneys statewide. 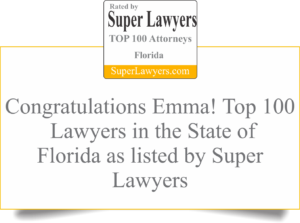 Although any attorney can advertise himself as an “elder law attorney”, the Florida Bar limits the use of the word “specialist” and “expert” to only those attorneys who have: practiced predominantly in the field of elder law for greater than 5 years; demonstrated a special level of knowledge through a rigorous examination; and have scored high marks for ethics and professionalism among other Florida elder law attorneys to become “Board Certified”. There are numerous organizations (national, state and local) that focus on elder law and special needs issues. Is the attorney involved in these organizations? Does the attorney volunteer or hold positions of leadership within these organizations? On the state or local level, ask if the attorney is an active member of the Area Agency on Aging or any other equivalent group. Are You a “Super Lawyer”? The designation of “Super Lawyer” is a title granted to only the top 5% of all lawyers in a given area or expertise. Because Super Lawyers are chosen by their peers, this designation is especially impressive. It means that the elder law attorney you are speaking to is a trusted professional that other attorneys will turn to when the need arises. If an attorney regularly gives lectures on behalf of the Florida Bar or has speaking engagements on elder law and special needs, you can be sure he or she has an indepth understanding of Elder Law. Do You Charge for Your Initial Consultation? Many attorneys, such as personal injury attorneys, will give you an initial consultation for free or over the phone. Generally, this is not standard practice for most elder law attorneys. Yet, still some are surprised to learn that our firm charges a consultation fee for meeting with either Emma or Gerald, in person or over the phone. It is our opinion that for those who do not charge a consultation fee, the initial meeting is little more than a “getting to know you” session. At your initial consultation with Emma or Gerald, you’ll have our undivided attention to your specific set of circumstances. Because of the level of attention given to you, we’ve got to charge for the time we could be working on existing client matters. We know your time is valuable, and so is ours. We expect to accomplish quite a lot at our first meeting with you. We want to determine the scope of your problem, educate you about the laws affecting your circumstances, offer suggestions on how to address your problem, decide on how you want to proceed, and collect the information we need to begin the work. Although you may have not met us before, the initial consultation is far more than a “getting to know you” session. We strive to make this fee as affordable as possible. And, we’ve been told by hundreds of satisfied customers that the expense was well worth it. But, what if I just have one quick question? We hear this question all the time. While it may be true on some rare occasions that an inquiry can be handled with a quick question and answer, that is a rare exception from the norm. Unfortunately, there’s no way we can make that determination until committing to speak with you. Only after you have made the investment of the initial consultation, allowing us to adequately evaluate and discuss your unique situation, can we provide you with guidance based upon our legal knowledge and years of experience.